A robust land with an agrarian legacy, Punjab’s culinary repertoire reflects its culture and food habits. From grilled tandoori to rustic kitchen fare, the flavours of this food-loving state in North India are equally popular across the world. Acknowledged as the cradle of civilisation, the ‘Land of Five Rivers’ is blessed with extremely fertile lands, and it is no wonder that food is considered integral to Punjabi ethos. Punjabi cuisine is wholesome and fragrant. Prepared with indulgent dollops of ghee (clarified butter) and home churned butter, it is flavourful and rich in spice. Centuries-long Persian, Afghan, Greek and Mongol influences have assured the cuisine is robust and earthy, rich and exotic, all at the same time. Indian barbeque or ‘Tandoori’ is probably one of the oldest forms of outdoor cooking. Called ‘Bhatthi’, it is now a staple in Punjab. The real taste of Punjab comes in the form of lentils, thick curries and coal-charred barbecued delights; stuffed paranthas served with, homemade butter and a tall frothy glass of sweetened or salty buttermilk. Punjab also loves its greens; spinach, fenugreek and mustard are slow- cooked together and eaten in the form of ‘Saag’. hallowed of shrines of the Sikh faith, sets it apart as a spiritual centre. An abiding custom of which is the concept of langar–community kitchens manned by volunteers offering free meals to all. Founded by Guru Ram Das, fourth apostle of this inclusive, egalitarian religion, Amritsar welcomes a gob smacking 100,000 visitors every day! Amritsar’s central walled city is a warren of narrow streets that house product specific bazaars and atmospheric havelis harking back to the 17th and 18th centuries. Royal patronage, especially during the reign of Maharaja Ranjit Singh coupled with its strategic location on a popular Silk Route turned it into a trading and manufacturing hub. Much of India’s freedom movement was played out in this region. Within walking distance of the Golden Temple, two emotive memorials, Jallianwala Bagh and Partition Museum, bookend the turning point and subsequent end of colonial rule in India. Amritsar is equally popular for its street food and roadside eateries, many of them going back a century or many generations. 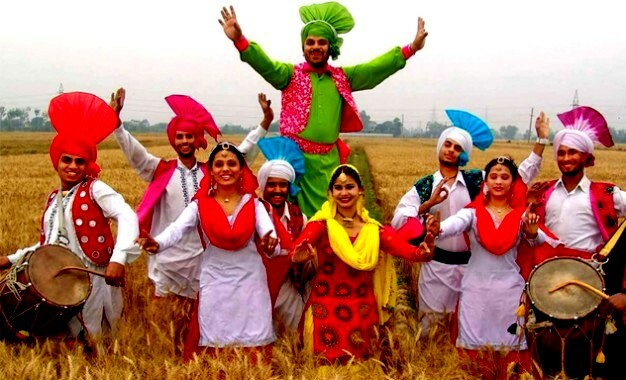 Not surprisingly, the city boasts vibrancy unlike other cities in the state, indeed a culture and people that exemplify the pure essence of Punjab.